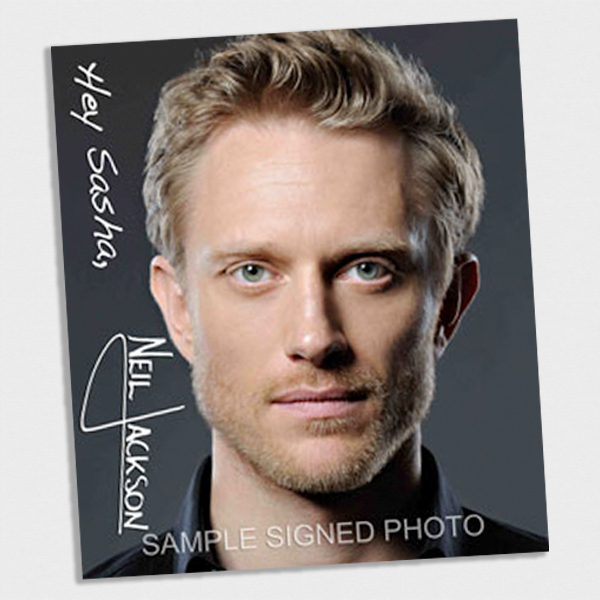 This is a simple signed photograph of Neil Jackson for $10.00* (£6.45) including free postage and packaging. If you would prefer a personalized named photograph from Neil, please click here. Please allow 7-10 working days for postal delivery of this product.